How to save BIG in 2019! 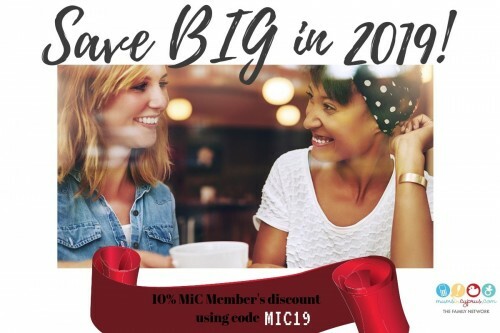 Over 1,200 Buy One Get One Free & Discount offers are waiting for you and all at a year-long special discounted price for MiC members! If you haven’t heard of The Entertainer by now – you’ve been missing out! An established lifestyle savings app, the Entertainer Cyprus offers you savings at some of the island’s hottest venues. With the newly released 2019 app, you’ll be getting bigger and better offers than ever before. The Entertainer is an app that gives you access to over 1,200 Buy One Get One Free offers and discounts across the island. By downloading it on your favourite mobile device, you have it with you wherever you go (no need to lug a massive book around or to remember to cut out & keep hundreds of discount vouchers). It offers you savings on hundreds of venues across the island. Still don’t get why this is so great? USE: Show your ENTERTAINER when you ask for the bill. Seeing as your phone is always in your pocket, you won’t forget to use it when you pay (*save* on) your bill. SAVE: Do more for less. Enjoy huge savings on all the things you love! Food & Drink: An all-time favourite. Help yourself to some of the best dining options in your city. All offers within this category are 2-for-1. You can eat out more without having to worry so much about the cost! Beauty & Fitness: Another massively popular category featuring spas, salons, gyms and more. The offers in this category vary between 2-for-1 and 50% off – go with a friend and you both get to use the spa for half the price! Attractions & Leisure: Great times and fun-filled adventures. This category is perfect for holidays and families. All offers in this category are 2-for-1. Planning on going to Fasouri Waterpark this summer? With just one visit using this app, you’ll get back the money you paid for it! Fashion & Retails: Save every time you hit the shops for a spot of retail therapy. This category offers savings every time you spend a certain amount. For example, spend €150 at Follie Follie and save €75, meaning you get a 50% discount! Everyday Services: Whether you need a car wash, or your pet groomed, you’ll find it here. The offers in this category are from 30% off. Travel: From quick getaways to long vacations, they’ve got it all thanks to free nights and huge discounts (either 60% off or Buy One Night Get One Free on hundreds of thousands of hotels globally). The ENTERTAINER also comes free with Cheers, which gives you Buy One Get One Free drinks offers at your favourite bars, night spots and restaurants. You can even share your account with family members! They will each get their own login and password, so you can all use the App, meaning you’ll save money together. How cool is that? The App also features Pings. What are Pings? It means that you can swap offers with your friends. It also means that if you run out of an offer, someone can send you a new one. Why should you buy the Entertainer 2019 now? 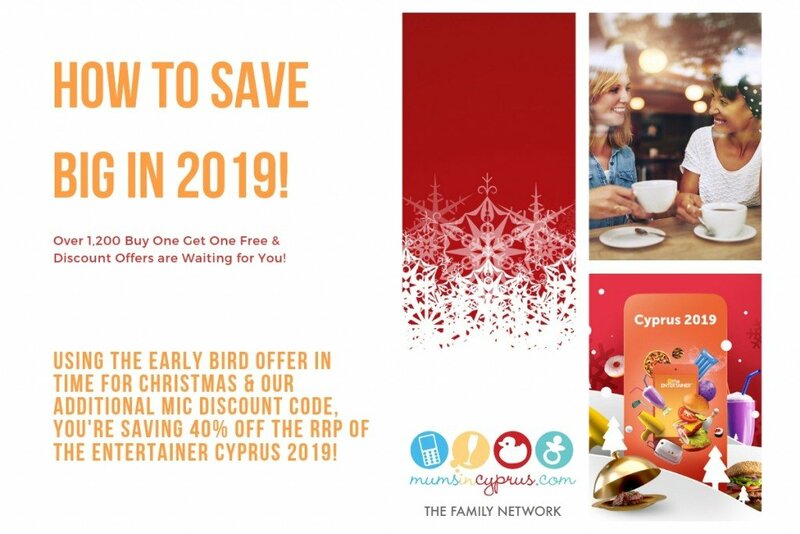 Buy the Entertainer Cyprus 2019 NOW (for a limited time) on the Earlybird offer and get it for €19.95 (instead of the RRP €29.95 that will come in to effect in the New Year). 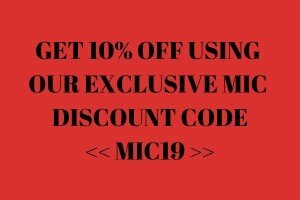 Use our exclusive MIC discount code << MIC19 >> and get an ADDITIONAL 10% discount! That means an entire year’s worth of savings for less than €18! That is a pretty nice Christmas present! The good news doesn’t stop there. As well as saving €10, early birds will also enjoy immediate access to the current 2018 offers across the island, meaning you can start enjoying incredible savings right away. From Farm to Table – the benefits of growing in a box! 8 reasons why MyBook Heroes books deserve shelf space in your home! Want to receive MiC’s Weekly RoundUp emails? By clicking ‘Submit’, you agree that we may process your information in accordance with our terms. Have you seen us on YouTube yet? Let us spread the word about your mum-, baby- or family-related business and/or services with tailor made solutions. Request our Media Kit now and find out how we can help you! Join our growing international community of mums living in Cyprus and get weekly updates! Yes please - sign me up!